Nevada is not the ideal place for growing vegetables, but it can be done if you're willing to put in a bit of work, such as composting to enrich the soil and setting up shade-cloth filters to protect your plants in the hotter southern regions of the state. Average temperatures and precipitation vary widely across Nevada, from the hot, dry south to the cooler regions of the north. Plant hardiness zones range from 4b in the mountainous northeast to 9b in the far south. The average growing season in the north is 175 days, while the far south enjoys seasons averaging 275 days. Select a level location for your garden that receives at least six hours of sunlight a day. In the hotter areas of Nevada, choose a site that gets some afternoon shade if available. This will help protect the vegetables from the hot sun. If your property is sloped, select a southern exposure and consider terracing if the ground is very steep. Place stakes in the corners of your selected plot and tie string around the perimeter. Remove any turf by cutting it into small squares and lifting it out with the garden fork. Nevada soil is generally poor for growing vegetables, so adding organics is essential. Turn the top 4 to 6 inches of the soil and cover the plot with 4 to 6 inches of compost or manure. You can also add humus, mulch and straw as organic material. Leave the plot for about a week so the organics can work into the soil. Draw an outline of the garden and make a plan of what you will plant. Row spacing for most vegetables should be about 18 to 24 inches. Vegetable such as asparagus, cucumber, corn and squash have a greater spread and should be planted in rows 3 to 4 feet apart. Although virtually any vegetable will grow in Nevada as long as the soil is enriched, you should plant cool-season crops first, such as asparagus, lettuce, peas and onions. Cool-season vegetables are poor performers in the hot summer months, so plan to plant them early. Remove the corner stakes and string. Turn the soil to blend in the organic material. Rake the plot level and place stakes to mark the ends of the rows according to your drawing. Tie string between the stakes to mark out the rows. Use the hoe to pull the soil into a 6-inch mound along the length of each row beneath the string line. Make a shallow v-shaped channel along the top of the mound for planting. Many parts of Nevada experience late frosts. Check with your local county extension office for planting information and advice specific to your area. First, plant vegetables that are more resistant to frost, such as onions, asparagus and rhubarb. Other crops can usually be planted about two weeks later. Read the package directions and plant your seeds according to the depth and spacing instructions. Water your garden daily in the early morning or late at night. 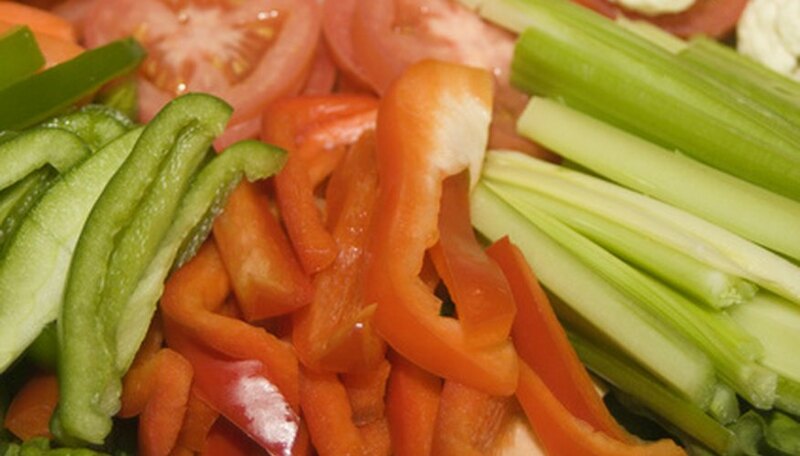 Vegetables need about 1 inch of water per week. Direct the water to the soil rather than spraying the foliage, as this can attract pests and disease. A soaker hose is a good investment, as it keeps the water on the ground. Weed the garden as often as needed. Weeds compete with vegetables for nutrients and can attract insects. Remove them as soon as possible. Check your plants regularly for signs of damage from insects or disease. Consult your local county extension office for advice if needed. In areas of Nevada where daytime temperatures soar due to the scorching sun, many gardeners use shade cloth to protect their vegetable gardens. Shade cloth filters sunlight and helps to prevent the foliage from being scalded. It is available from most garden centers and greenhouse supply companies. Any turf or sod removed when preparing the garden can be used as compost. Chop it into small pieces and add it to your compost bin or pile.